Like all gardening, growing great vegetables takes experience. It's not particularly hard, but plants can be unpredictable and uncooperative. Here are ten of the most commonly made mistakes and some hard-earned advice on how to avoid them. 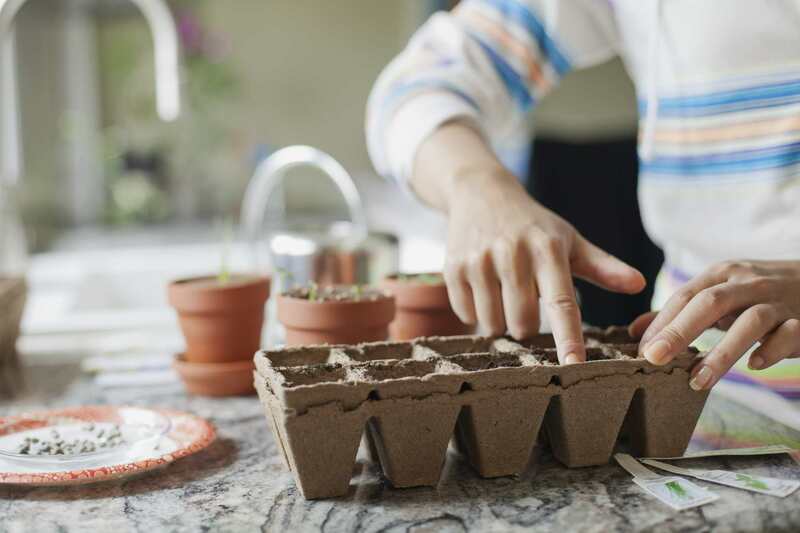 Even if you start your garden by purchasing seedlings, you have to resist the urge to put them in the ground as soon as you get them home. It may be true that you'll find the biggest selection of varieties if you shop early, but have a plan for hardening them off and for protecting them if a late frost is predicted. Otherwise, you'll be right back at the nursery buying more plants. It's a pleasure to work in a vegetable garden in the crisp days of spring or fall, but if your garden is not handy, eventually you won't be visiting it every day. It only takes a day or two for zucchini to grow to the size of a bowling pin or a rabbit to break through your fence and finish off your peas. Two other considerations are sited it by a source of water and in a spot that gets at least six hours of sun a day. Vegetables that don't get enough sunlight will struggle all season, set fewer fruits and develop less tasty sugars than well-sited vegetables. And trust me, you are not going to enjoy lugging a hose 100 ft. every time a plant needs watering and water cans are not much better. You have to cultivate a true love of soil to be a successful gardener. It can't be an afterthought. Starting off with poor soil means you will be fighting against it all season. Good soil harbors all kinds of beneficial creatures that help turn the soil into a repository of accessible nutrients while inhibiting the onset of problems. Prevent all this goodness from washing away by ending the season with either a green manure, to be tilled in the following season, or a thick layer of shredded leaves or leaf mold. Leaves slowly rot into the soil, adding richness and attracting even more beneficial organisms and earthworms to keep this healthy system functioning. Once you've handled and inhaled the earthiness of rich soil, you may even come to enjoy amending it each season. There are two basic ways to overdo it: too large a space or too much variety. Too large a space is the most common mistake. For someone brand new at gardening, a 10 x 10-foot garden is a good way to start out. You can always enlarge it. Feeling overwhelmed or chained to your garden is the number one reason so many new veggie gardens don't keep at it. This is a very closely related problem to starting out too large. Small seedlings properly spaced can leave the garden looking barren. Why leave 3 feet between tomato plants when you can squeeze them a foot or so closer? Because they are going to grow and fill in quickly and tightly spaced plants don't get the sun and air circulation they need. That leads to diseases and lower yields, not to mention difficulty harvesting. Vegetables that you are going to be harvesting as whole plants throughout the season, like lettuce, carrots, or beets, can be placed a bit more closely together and thinned as you harvest. But tomatoes, corn, peppers, and the like need room to branch out. Use the extra space early in the season to plant a quickly growing crop, like spinach or lettuce. It will be gone by the time the long season plants need the space. Your family may eat lettuce every night, but planting a 10-foot row of lettuce isn't going to keep you in salads all season. You have to do some strategic planning to stagger your harvest times. There are several ways to do this, including succession planting and planting varieties that mature at different times. You'll be glad you took the time to space things out. Weeding, feeding, and watering need to be done on a regular schedule, especially watering. Plants don't like competition for water and nutrients and allowing weeds to fill in will stunt many plants and reduce their yields. Without regular water and food, plants will stress and shut down. They go into self-preservation mode and refuse to set fruits or simply bolt to seed, to ensure propagation of their species. If you think caring for a pet is time-consuming, you're going to find vegetable plants are true divas. Planting vegetables is like ringing the dinner bell. Herbivores, like deer, rabbits, and groundhogs, will clean you out overnight. The need for a sturdy fence cannot be overstated. What kind of fence depends on what animal problems you have. Deer can jump and require either a high fence, electric fencing, or one of the clever angled or double fences that makes them unsure about jumping in and being trapped. There are many good sources for setting up a deer fence online. Burrowing animals, like groundhogs, rabbits, and chipmunks, need both an above ground fence that is at least 3 to 4 feet tall and about a foot of buried fence. Angle both fences outward from the garden, to deter them even more. Not every problem in the vegetable garden requires a full assault, in fact, most don't. But you need to monitor your plants on a regular basis. If you see yellowing leaves or spots, inspect closer and make a correction before the whole row of plants becomes ill. Insects like to lay their eggs on the undersides of leaves. Check their occasionally. Scraping off the eggs before they hatch can totally avert the problem.